My wife and I were walking down the long airport corridor on the way to the boarding gate. There was a couple coming toward us and, as they came closer, there was something vaguely familiar about them. As we came still closer, we realized that indeed they were the Goldblatts – acquaintances whom we hadn’t seen in 20 years. Soon we were face-to-face, and the intervening years vanished, and the good memories resurfaced. We took some time to reconnect. I first met Mrs. Goldblatt in a professional context. She was the administrator of a large social services agency where I consulted. She was, to say the least, not a religiously observant Jew. But when her mother passed away, my wife and I paid her a condolence call. She did not “sit shiva” in any traditional sense, but let her friends and acquaintances know that she was home for the weekend and accepting condolences. At that visit, we learned about her background. Her parents had been ardent communists, and in fact her father was the last editor of a once famous Jewish communist newspaper. She shared her father’s atheistic vision as well as his social ideals. Her husband’s weltanschauung was not very different from hers. As we left her house, my wife and I uttered the same words to each other: “We must have them over for a Shabbat meal!” And so we did. The Goldblatts came to our home one Friday night, we had a stimulating conversation, good food, and our kids behaved themselves. And then we went our separate ways, occasionally exchanging greeting cards over the years, but no more. As far as we knew, they remained religiously indifferent. Until that encounter in the airport corridor, it was then that we learned how much of an impression that Shabbat dinner made upon them, and about how that one evening had changed their attitude toward Judaism. Of all the things that they remembered, it was the light and warmth that they remembered most. Two classic Jewish thinkers speak about this verse and its interpretation by an ancient sect of the Jewish people, the Karaites. This group denied that there was any interpretation possible of the Bible except a literal one. They claim that there was no such thing as an Oral Law and rebelled against rabbinic tradition. This sect persisted for many centuries and was persecuted, along with mainstream Jews, by our enemies throughout history. I have heard tell that there are still remnants of that sect in Israel and the Balkan countries. But all I know about the Karaites is what I have read in the works of the great Jewish philosopher, Saadia Gaon, and in the biblical commentary of Abraham Ibn Ezra. Both of these sages see our verse and its interpretation as one of the major differences between traditional rabbinic Jews and the Karaite sectarians. The rabbis understood this verse to mean that one could not kindle fire on the Sabbath, and that cooking was prohibited on that day. But they go into great detail about how to prepare in advance stoves and lamps that will heat and illuminate our homes and keep our Sabbath foods warm throughout the Sabbath day. The Karaites understood the verse quite differently. “You shall kindle no fire…” meant, for them, that all fires had to be extinguished before sunset on Friday, and that the home had to remain dark and cold. They would partake of no warm food for the entire day. Their Sabbath was darker still. They forbade intimate relations between husband and wife on the Sabbath, and they insisted that the biblical verse enjoining us to remain in our places on the Sabbath was also to be taken literally. So they left their homes only to attend their houses of prayer. 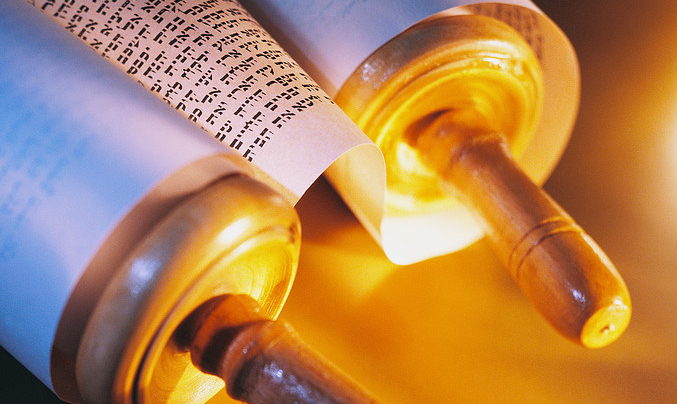 How different is the Sabbath prescribed by our rabbinical sages. They insist that our homes be well lit, and to this day we are careful to include at least one hot portion of food in our Sabbath day meal as a statement. The Goldblatts remain to this day as ignorant of rabbinic Judaism as I am of the Karaite version of our faith. But their one visit to our Shabbat table was sufficient to dispel their previous notion of the Sabbath as a day of darkness and despondency. They learned that the Sabbath home is a home of warmth and light, and that the Sabbath day is indeed a gift from the Almighty’s special treasury. May we all bask in the glowing light and loving warmth of Shabbat this week as we read Parshiyot Vayakhel and Pekudei.